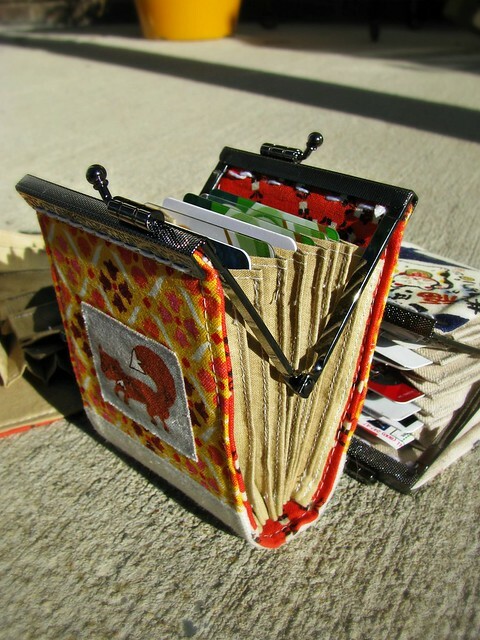 The very first time I used my accordion fold wallet, we were on a road trip to visit my in-laws in another state. We stopped at a gas station and when I went in to buy some snacks, I pulled out this little wallet and the cashier said, “Let me see that!” Without even thinking, I handed it to her. (Can you tell I’m from a small town?) She loved it and said such nice things about it that I pulled out a second one from my purse, one that I’d made for my sister in law. She said, “Do you have another one in there that I can buy?” Sadly, I did not. I loved this pattern because it’s easier than it looks, just a few rectangles really, and uses up scraps nicely. I so rarely carry cash that this type of wallet makes a lot of sense for me, and it’s just so cute! There may be many more tiny frame purses in my future! 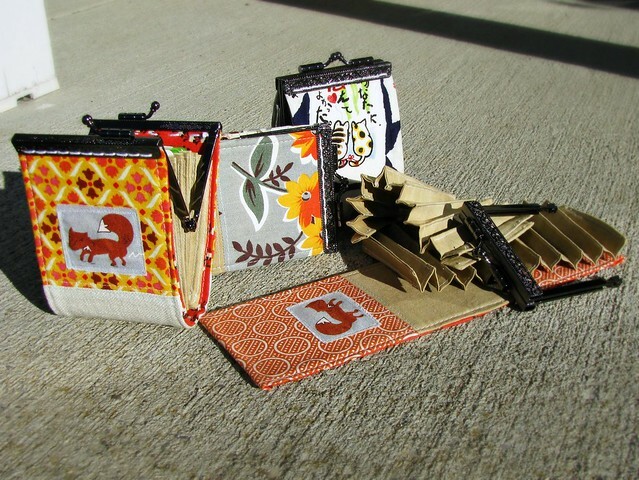 Do you know anyone who makes these accordion fold wallets? I am not a sewing person, but would love to have one or two of these.